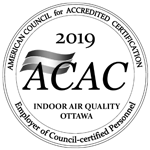 Our state-of-the-art equipment and ITC Canada certification produce excellent results. 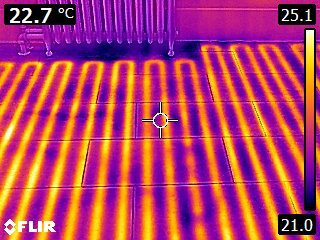 Don’t lift flooring or open walls to spot leaks or heat wiring, call for a thermal scan! A healthy home begins with a dry, tight building envelope, free of moist air and water leaks. Energy efficiency is improved by controlling leakage area and improving thermal mass. 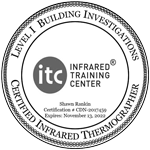 Our technician is a certified Building Inspections Thermographer. He is also a recognized CMHC Healthy Home Builder and Renovator since 2004, an R2000 Builder in 2005, trained and experienced to deliver the most comprehensive building defect reporting available. 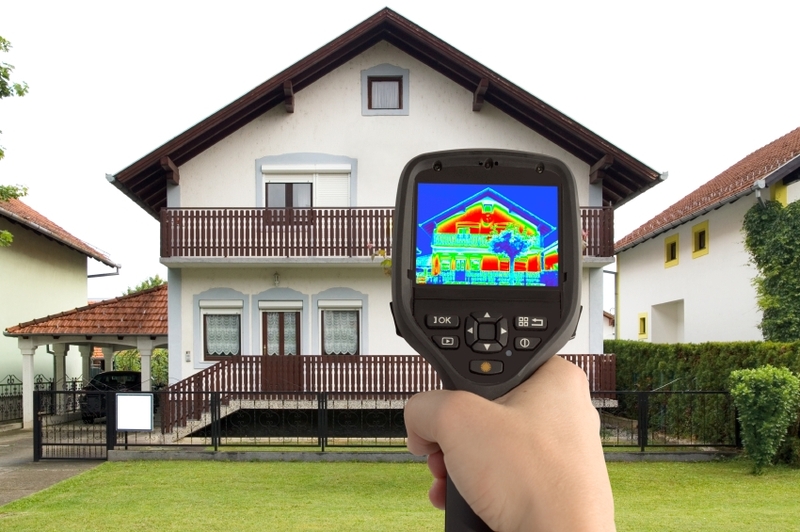 A thermal imaging infrared camera scan of your home or building is an absolutely vital tool used for detecting a variety of building-related conditions that may be affecting your indoor environment. 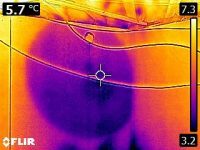 A skilled, professionally certified thermographer (ASNT Level 1) can identify moisture leaks, foundation cracks, insulation voids, hidden wall and ceiling condensation, and heating/electrical or plumbing defects. 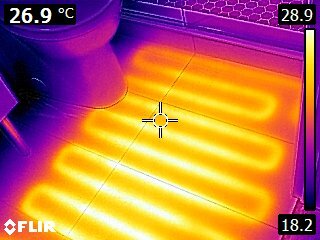 An infrared scan uses long wave electromagnetic radiation imaging to detect energy and heat variations from all surfaces of buildings. 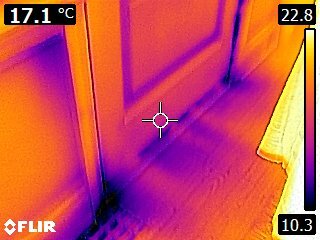 IR thermal imaging scans can be performed indoors or outdoors during conditions of 10°C or 18°F temperature differentials (Delta T). 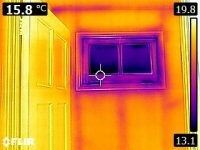 Can an IR scan see through walls? No. Thermal imaging provides images of the surface being scanned based on emissivity and reflectivity of that surface. 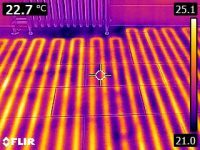 IR scanning can provide an image of the scanned surface that a classroom-trained thermographer (32 hours minimum) can interpret. Building assemblies with temperature differentials of 10°C can reveal an extraordinary amount of detail – air, water, insulation, temperature, plumbing leaks, electrical, mechanical hotspots, rodents, nests, and urine can all be detected by a Canadian government recognized, certified thermal imaging inspector (thermographer, ASNT Level 1). Can an IR scan “see” mold in walls? No. 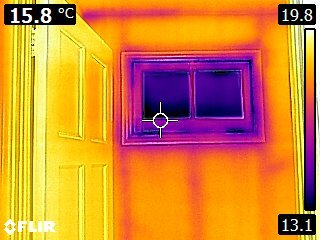 However, an experienced thermal imaging technician can detect thermal bridging and moisture-related conditions within the hidden wall/ceiling/attic assembly that provides the necessary humidity to sustain fungal amplification. Can an IR inspection be performed anytime? No. 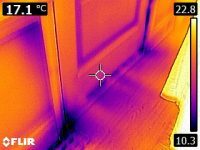 As thermal signatures and infrared imaging requires a temperature differential of 10°C or 18°F, sometimes a professional thermographer will decline a request for service. Solar loads, winds of more than 15mph, and ambient similar indoor/outdoor temperatures will negate the benefits of an IR scan. In this case, the experienced indoor environmental consultant will rely on more traditional testing methodologies and save the client unnecessary IR scan fees. Can anyone use an IR camera? A high resolution (min. 320 x 240) thermal imaging device is not a “point and shoot” camera. The Canadian government has created the need for Infrared thermographer certifications in its National Master Specification (NMS Building Enclosures, section 02 27 13). This level of thermographer training certification cannot be obtained by taking an online, short-term webinar. Canadian NMS certifications require a minimum of 32 hours in-class training (ASNT L1) followed by exams, assignments, and re-certification every 5 years. Our thermographer has completed the Level 1 Certified Building Investigations qualifications and complies with the National Master Specification (NMS Building Enclosures, Level 1).